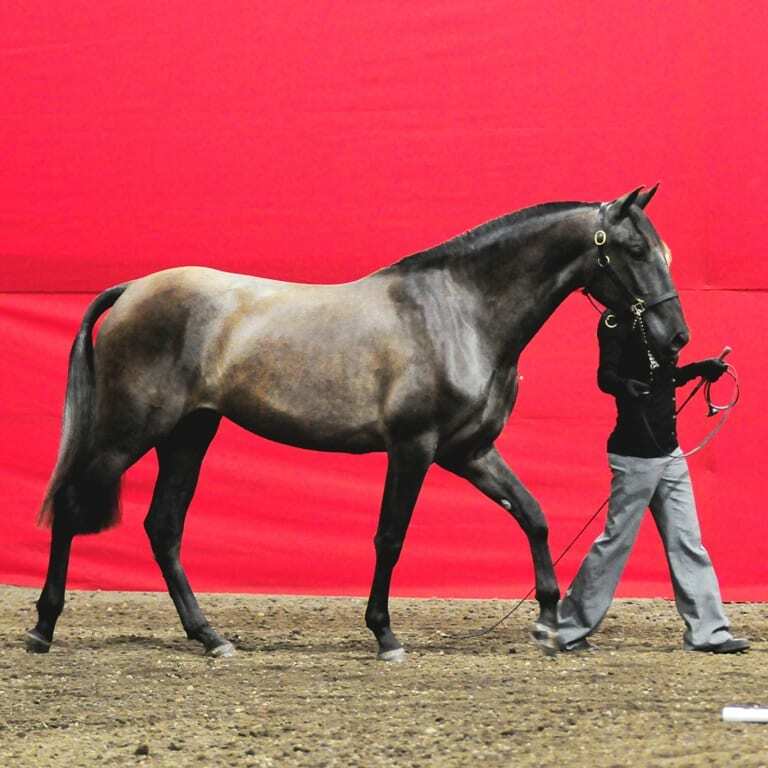 Azucena is a 2011 National Champion PRE grey Andalusian mare. Her dam is our multi-national champion VMF Valencia and her sire is Mystique’s Padrino. Azucena was only shown as a two year old in 2013 but had an amazing show. She was the Reserve National Champion Filly, 2 year olds and Gold Medal Movement winner and also the Reserve National Champion Best Movement winner. Beaten only by her mother in the movement class, together they out moved and out shone the other ten horses in the class. We lost Azucena way too young, due to a pasture injury. RIP VA Azucena. We will always think of you and miss you with all of our hearts. You were a champion in halter and movement but to us you were a kind and gentle horse that did everything you could to make us happy. But for now, we are sad. On May 20th, 2014 you slipped and fell and fractured your leg and with so much heart you stood and waited for us to help you in your plight, not sure what would happen next. We cried, we hugged, we said our goodbyes. I hope that now you are racing like the wind, like I new you could, like I new you would. Happy trails my sweet girl. 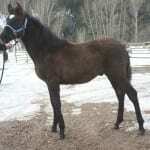 SOLD – VA Mensajero (Pedro) is a gorgeous 2011 black PRE Andalusian colt. His sire is Canadian National Champion Mystique’s Padrino and his dam is our champion producing foundation mare, OA Sienna. 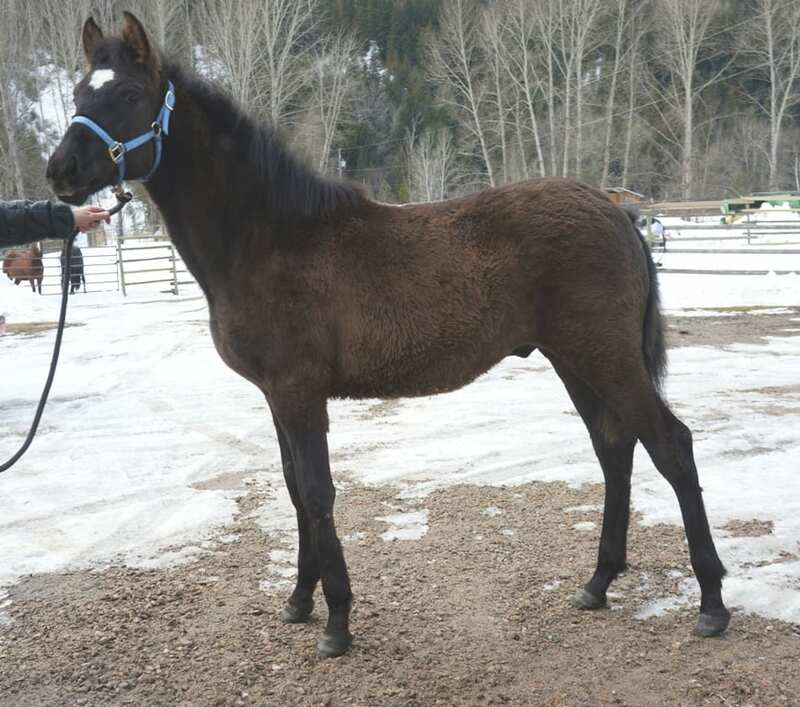 Mensajero was sold as a yearling and now resides in Fort St John. He is owned, loved and BFF to Carla Fuks.